Boutique bike shop specialisikng in Trek bicicyles and accessories. 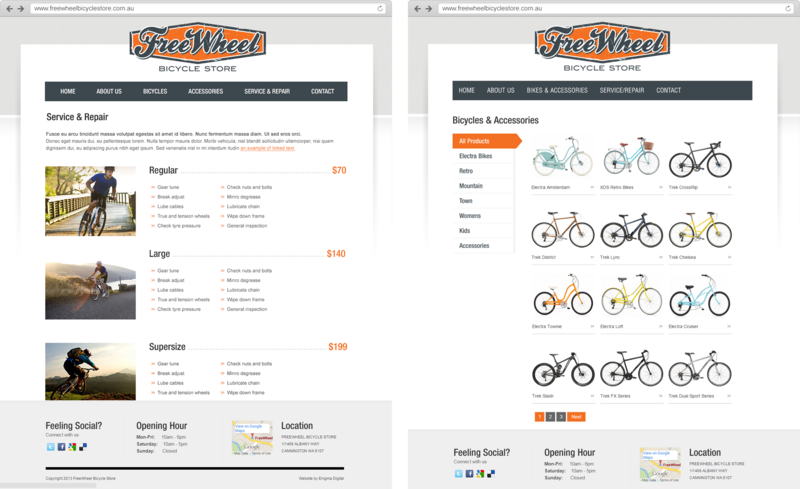 FreeWheel Bicycle Store is a boutique bike shop located in Cannington, WA. They specialise in Trek bicicyles and accessories. We designed and built this site with WordPress. This project also lead to the creation of WP Catalogue which was used on this site to showcase the client’s range of bicycles and accessories.